Around 150 million beverage containers would be collected for recycling through the new refund scheme every year, Prime Minister Joseph Muscat said on Wednesday, marking the first step in the project. Speaking during the signing of a memorandum of understanding between the government, private sector players, and other stakeholders, Dr Muscat said that around 200 million beverage containers were put onto the market in Malta every year. Of these, just a quarter were currently being collected for recycling. “We have a situation today where three quarters of the bottles and cans end up either in our valleys, sea, or landfills. We aim to flip this situation on its head, and start collecting three quarters, with just one in four no longer accounted for,” he said. Dr Muscat said the project had seen all private sector players come together to agree on the setting of a 10c price for bottle refunds. “I am happy to say we are taking this next step forward together will all the industry,” he said, adding that once all the players had come on board the government could opt for an MOU rather than a call for tenders. The government is aiming to encourage plastic bottle recycling through the introduction of reverse vending machines at shops and petrol stations. Environment Minister Jose Herrera said the MOU would see the government and the private sector work together to see the project become a reality by the end of next year. All told, the project would require a €10million investment, and the aim was for up to 90 per cent of all containers to start being collected after the first four years of the project. “This is a concrete example of how we want to move from a linear to a more circular economy,” he said. Dr Herrera said the beverage containers would be processed at centralised location to ensure maximum utilisation. The next step after this project, he said, would be to attract foreign investors to start recycling processes on the island rather than exporting the material as is currently being done. 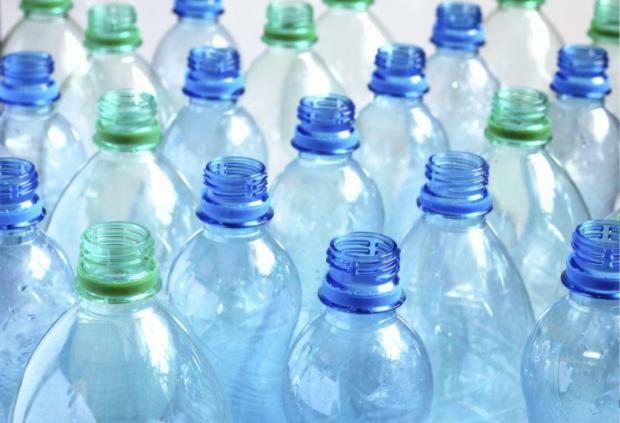 According to the MOU, every retailer selling beverage containers shall be obliged to accept empty beverage containers through arrangements set up by the agreement. This shall either be through a reverse vending machine at the vendor; through a common machine placed in the vicinity to which the retailer will be subscribed; or manually. The parties in the MOU now have to ensure the scheme maintains data transparency; establish clear performance targets for recovery and recycling; and ensure adequate coverage of return infrastructure. Dr Herrera said he had not heard any mention of a businessman with links to the Prime Minister’s right-hand man, Keith Schembri, in relation to the bottle refund scheme. Industry sources have repeatedly said that several businesses interested in buying plastic bottle recycling machines made by the Norwegian company Tomra, a major player in the sector, were told to speak to a company with links to Mr Schembri. 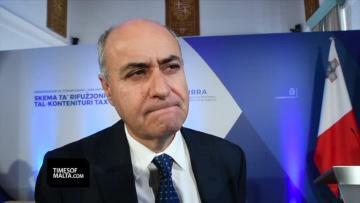 Media reports have said that Mr Schembri’s business partner, Malcolm Scerri, was the official representative in Malta of Tomra. Mr Scerri is the general manager of Mr Schembri’s Kasco Holdings Ltd and managing director of Kasco Engineering. Asked about this, Dr Herrera said he had never heard any mention of Mr Scerri in any relation to this project. “To be quite honest I never met the guy with regards to this project,” he said. A spokesman for the minister later clarified that the project was not yet at the stage where a provider of bottle refund machines had been selected. Dr Herrera said he had built an excellent relationship with the private sector through the project which he said had good intentions.